Get your tickets to 'MAMMA MIA!' - KUAM.com-KUAM News: On Air. Online. On Demand. 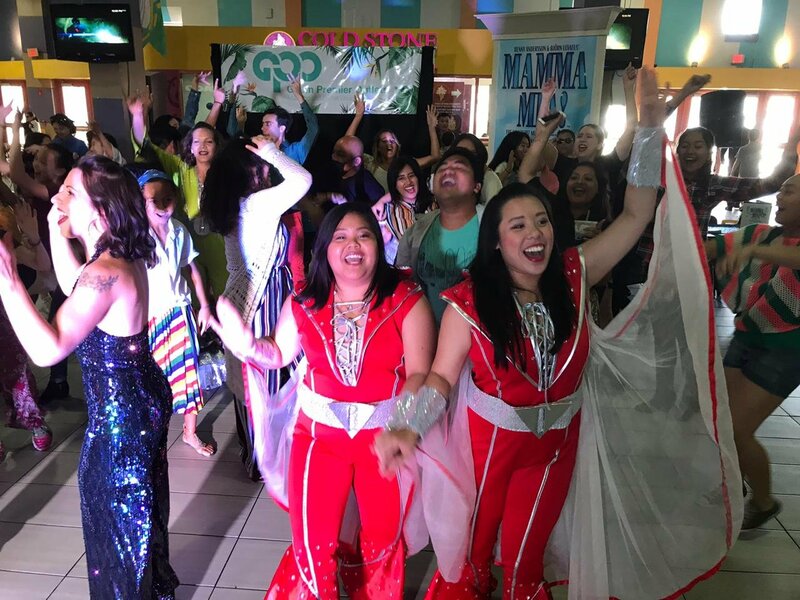 "You can dance, you can jive...having the time of your life, oooh see that girl, watch that scene, diggin' the dancing queen..."
The timeless lyrics to Abba's hit as well as others will grace the Guam stage. GATE Theatre in conjunction with Father Dueñas Memorial School proudly presents the Guam premiere of MAMMA MIA! Set to the music of iconic band ABBA, "feel the beat of the tambourine," and fall in love with the joy and celebration of the multi-award winning movie and Broadway smash hit musical directed by Ernest Ochoco. Riley Lunsford plays Bill Austin. "The story is really versatile," he said. "It touches a lot of different generations of people, you know single moms, people like me in their 30s that don't even have kids. It touches us too...it kind of helps us think about what would that be like to be in that situation. Kind of makes you think while you're enjoying it." You can catch the show on April 25, 26, and 27 at 7:30 p.m. or on the 28th at 3 p.m. All shows are the FD Phoenix Center. Tickets are: $20 general admission and $50 for VIP and can be purchased at the following locations: Tango Theatres, FDMS, Circle K/76, and Triple J Auto Group. For more information, you can call #686-5095 or 482-0497.